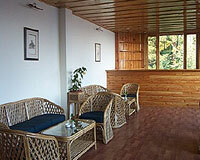 The Chalets Naldehra is located just 300 meters from the famous golf course at Naldehra. 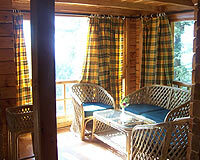 The Chalets Naldhera is an exclusive retreat spread over an area of one acre. 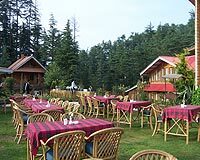 It extends from a thickly forested mountain spur with a lovely valley view. 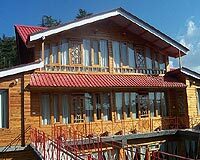 The resort reminds of the beautiful Scandinavian architecture and is built with pinewood and technology imported from Finland. 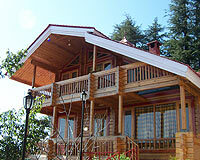 Chalets Naldhera is an ideal place for leisure, recreation, adventure and golf. Here there are units of various categories with small beautiful lawns and each with a view from the window. 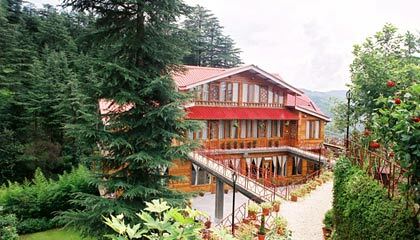 The Chalets Naldhera offers luxurious and comfortable accommodation, categorized into: Log chalets in the premium segment - Six in number. These have a drawing/dining room, a bedroom. 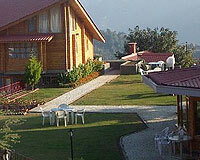 Apartments in the luxury segment - Six in number. These have a drawing/dining room and one bedroom. Studio Apartments - Two in number. 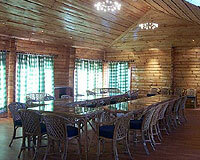 Family Chalets - Three in number with two bedrooms each and a sitting room. 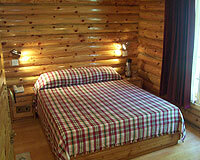 Double bedrooms - Two in number. 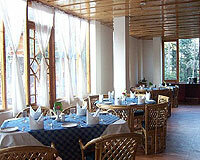 It has one multi-cuisine restaurant called The Garden Pavilion and one bar.